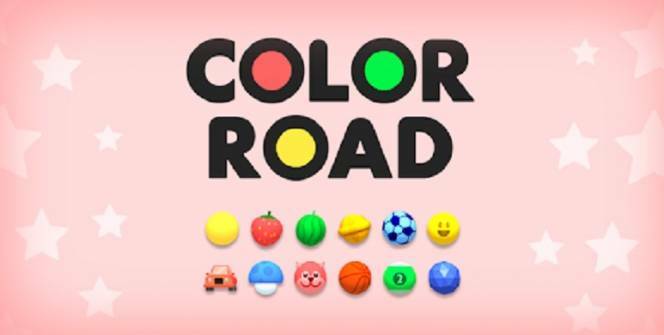 Color Road is a skill orientated game which is guaranteed to hold your attention for hundreds of hours. If you prefer playing games which involve skill, instead of being entirely luck based, you’ll love playing Color Road. Just be warned Color Road can be a highly addictive game, which will probably eat up hours of your free time. Essentially color road involves rolling brightly colored balls down a race track. As the race track which you’ll be rolling down has no sides, you’ll have to maintain a high level of control of your balls, to prevent them from falling off the side of your race track. To advance through Color Road, you’ll need to roll colored balls onto colored balls which are the same color. As an example, if you’re rolling a blue ball down your race track and you come across a yellow ball, a red ball and a blue ball, you’ll need to roll your blue ball over the blue ball and to avoid the yellow ball and the red ball. The primary objective of color Road is to get the highest number of correctly matched balls in a row without dying as possible. So it’s well worth seeing if you can obtain a high score which none of your friends will be able to beat. In order to prove that you’re the master of Color Road! 1. Try to make use of the ramps which you’ll find on most levels. You can usually use the ramps which you’ll find on most levels to get yourself out of a tricky situation. As an example, if you want to avoid touching the wrong color balls but find that the road ahead is blocked with the wrong colored balls you may be able to jump over the wrong colored balls using a handy ramp! 2. Try to look further down the road, past the nearest balls which you see. Many players successfully avoid hitting a ball which is the wrong color only to find that have a split second to change the course of their ball, in order to hit another ball which is the wrong color. That’s why it’s highly advisable to look as far down the race track as you can. That way you’ll know exactly which direction you should steer your current ball after you avoid the current balls in front of you! 3. When you’re not avoiding balls, try to ensure that your ball is positioned in the middle of the race track. In order to decrease your chances of accidentally steering your ball off the side of your race track, it’s well worth getting into the habit of steering your ball down the middle of the race track. 4. Try to focus on beating your high school. 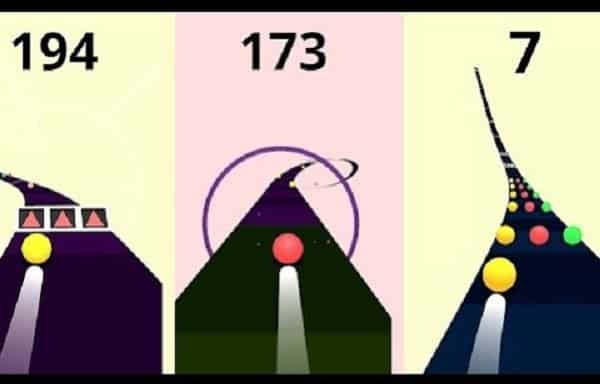 If you find it difficult to keep your focus, just concentrate on beating your current high score by at least one ball. So if you’re looking for a new game to download, you can’t go wrong downloading Color Road for PC! Sometimes when playing Color Road, bluestacks ask you fee to pay but gives you option to download some apps. Every time it asks you just select “Install apps” and continue using it free. I hope you enjoyed this article, please rate and share. If you have problems running Color Road on your desktop or any other issues, leave a comment below.